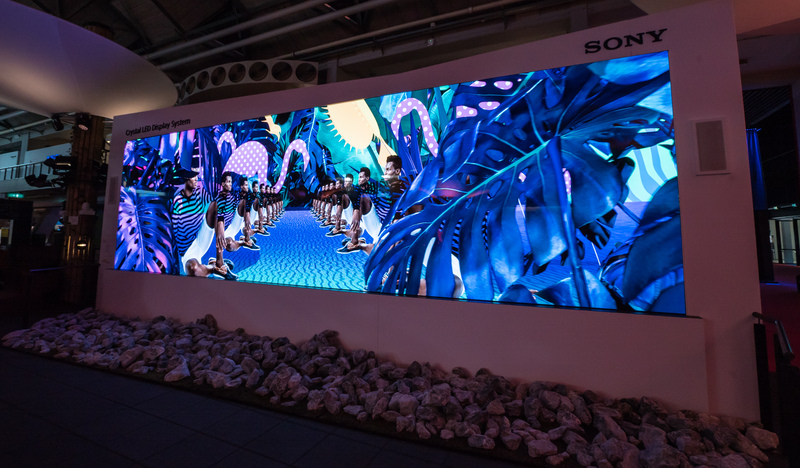 Showcasing the colours, dynamic range and outstanding resolution of a screen so far ahead of its time we had to create tailor-made content to use it. 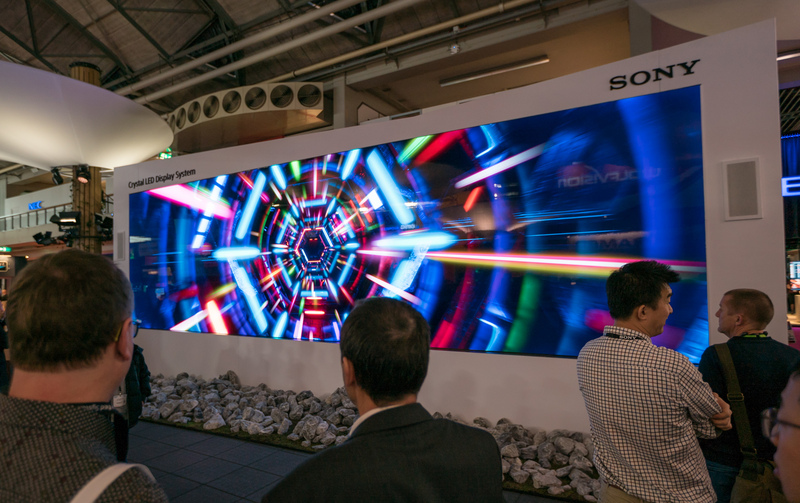 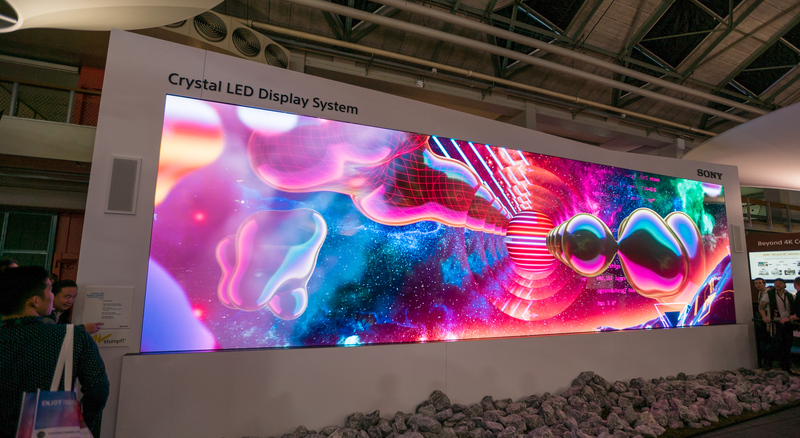 The Sony Crystal LED is colossal. 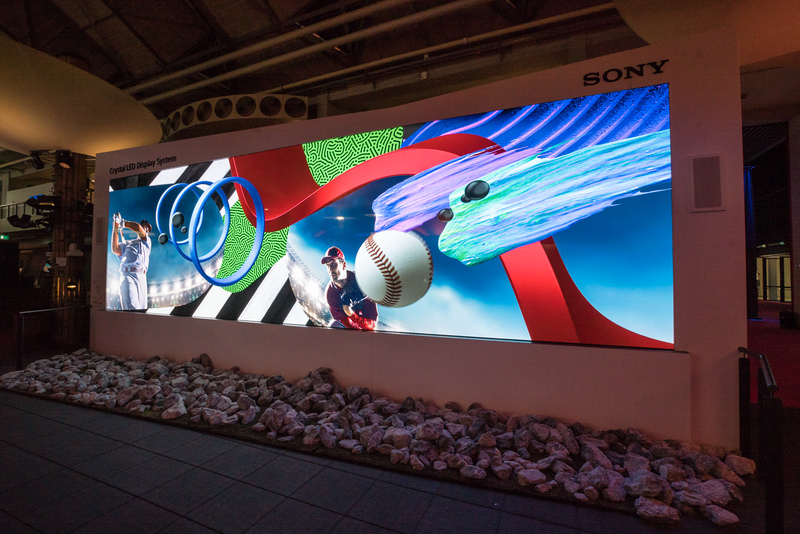 This 32×9-foot video wall offers unparalleled high-contrast range, wide colour space and outstanding definition. 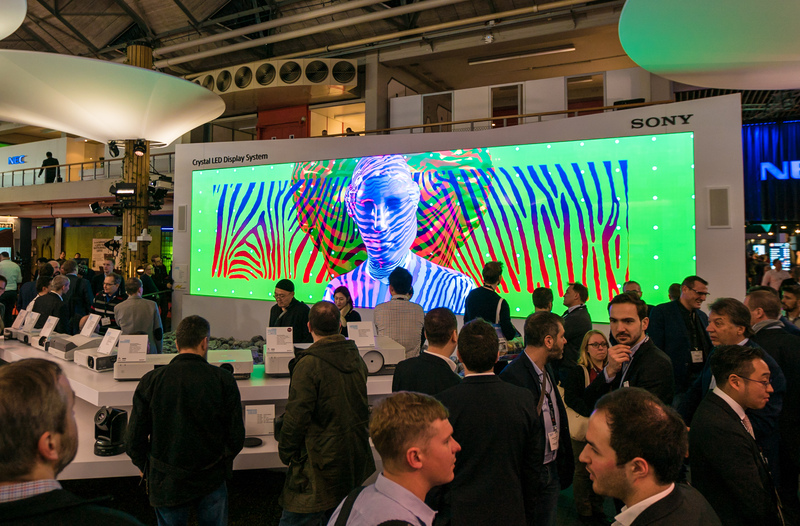 Sony approached us to create video content that would leverage its capabilities to full effect. 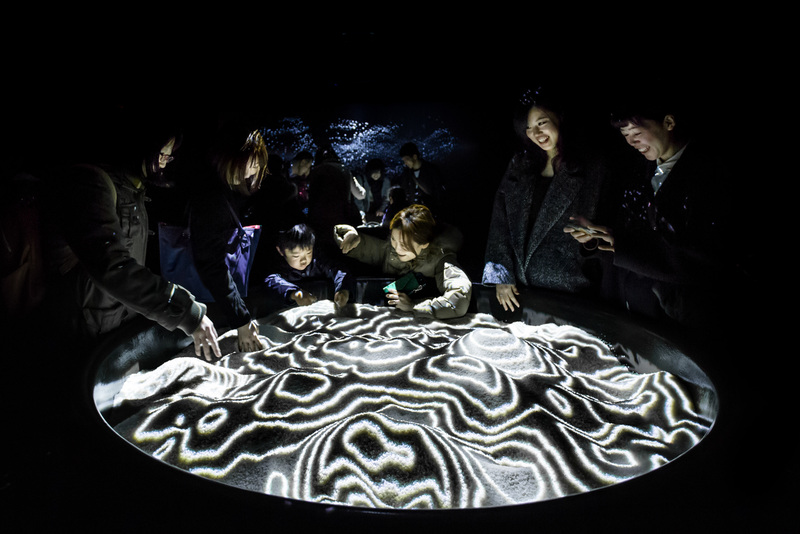 We love this kind of challenge because it pushes us out of our comfort zone. 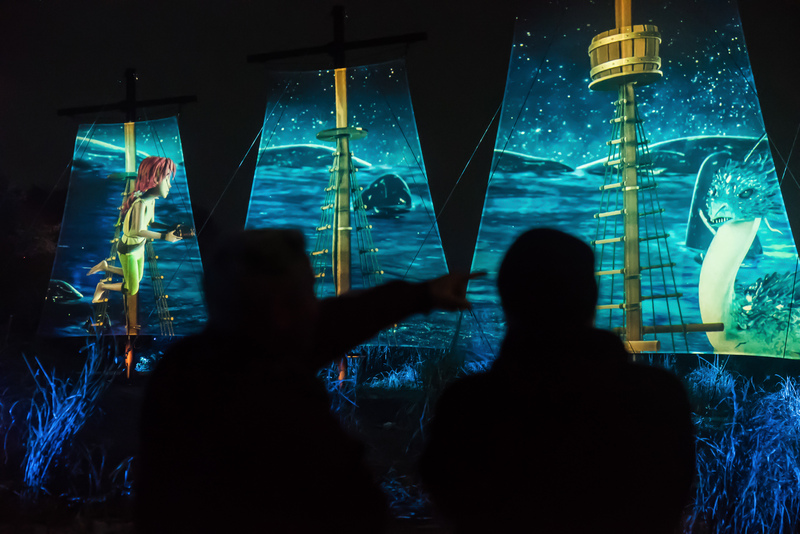 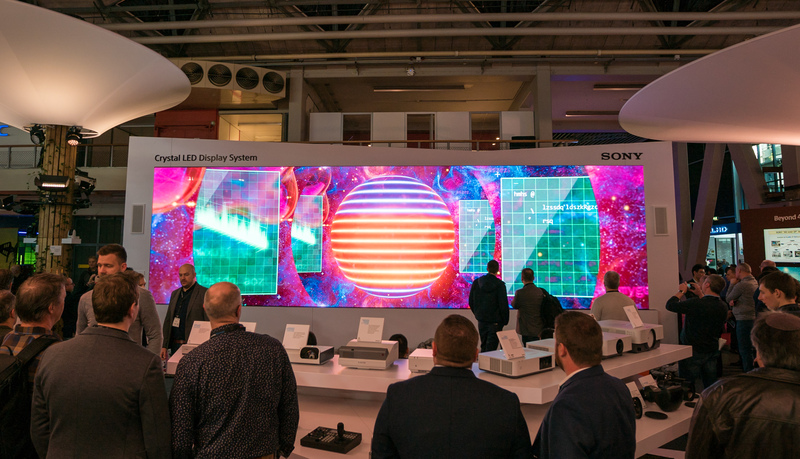 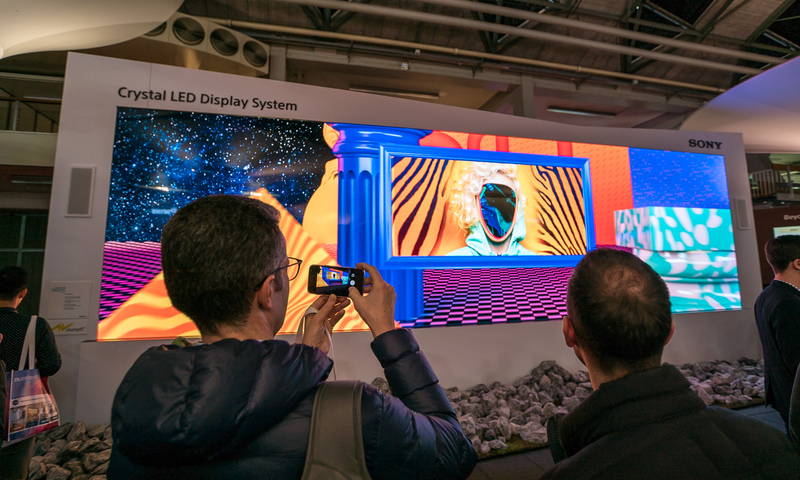 The display’s technology is so innovative that making tailor-made content straddled the worlds of art direction and R&D. 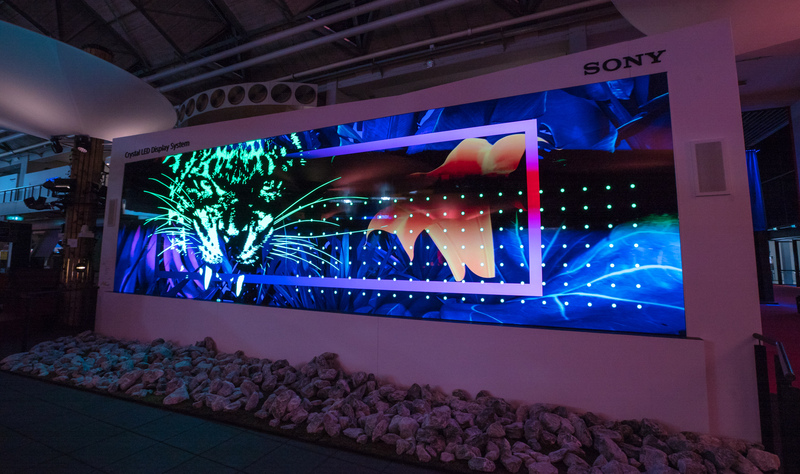 Collaborating closely with Sony engineers, we made sure that every pixel took full advantage of the display’s picture quality. 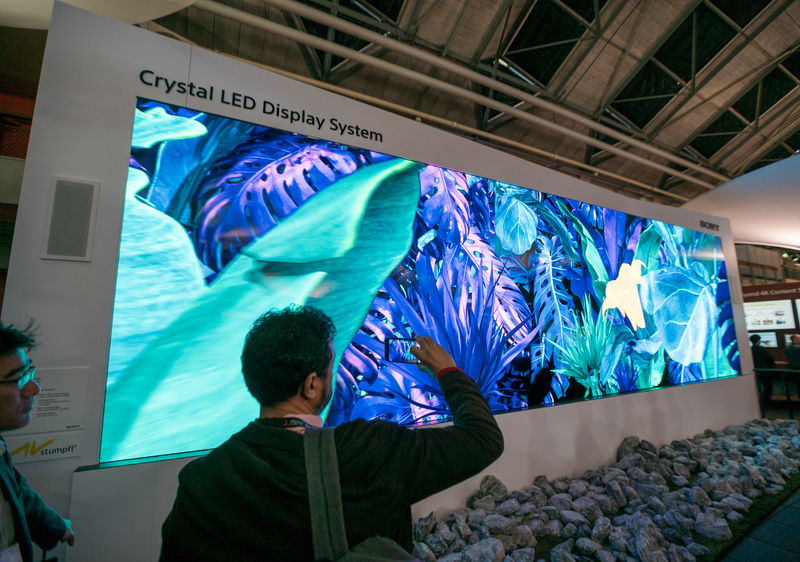 This synergistic relationship led to the creation of a rich tapestry of dramatic visual effects. 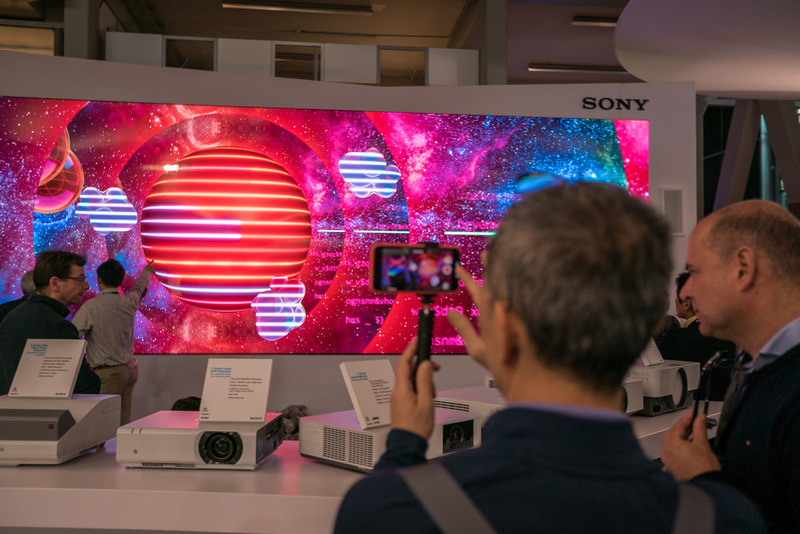 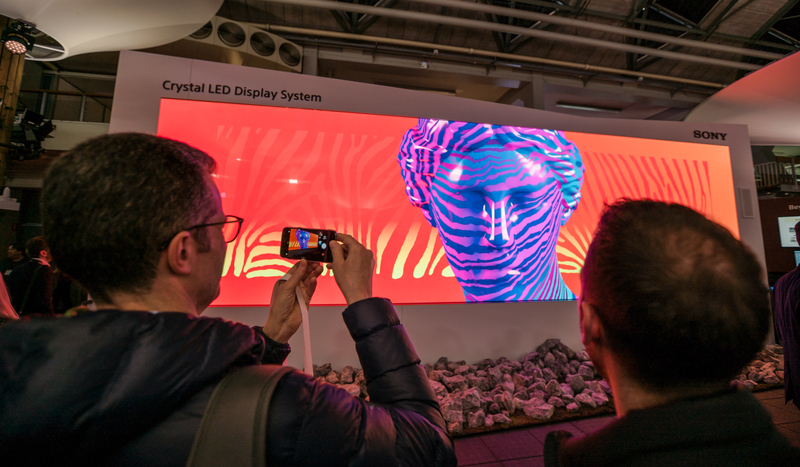 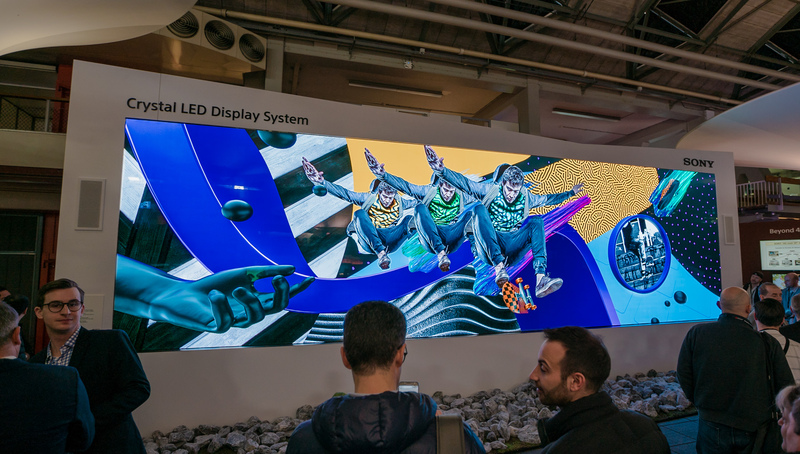 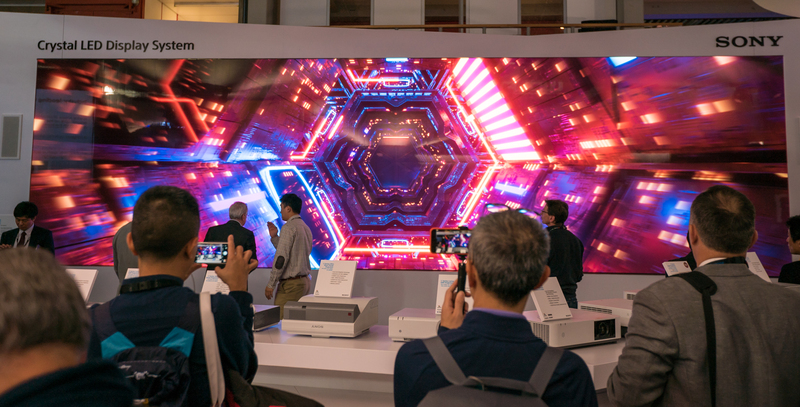 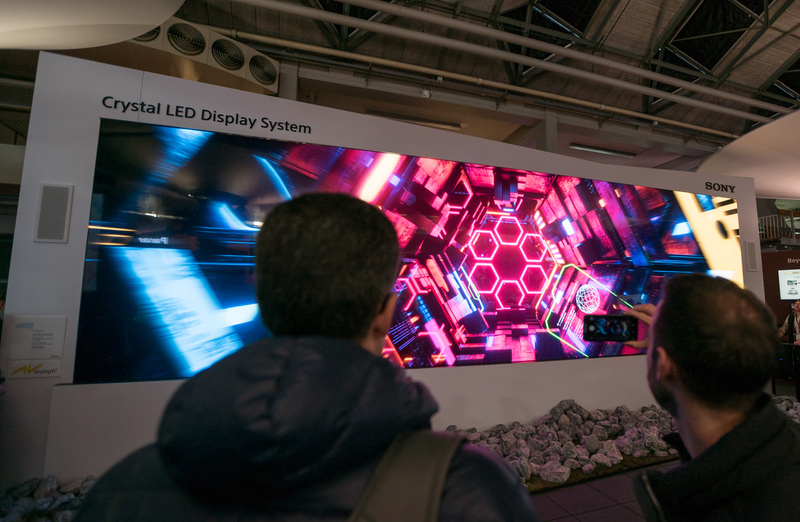 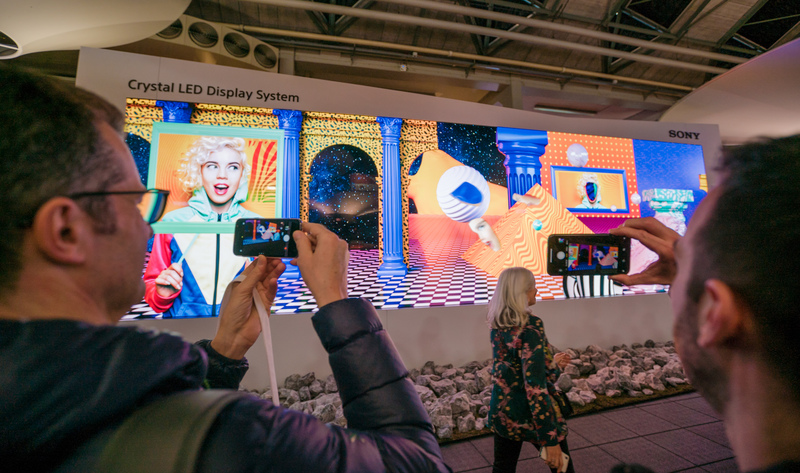 By layering 2D and 3D content, our animated canvas optimized the display’s massive 144-module screen space, wide colour gamut, elevated dynamic range and outstanding resolution. 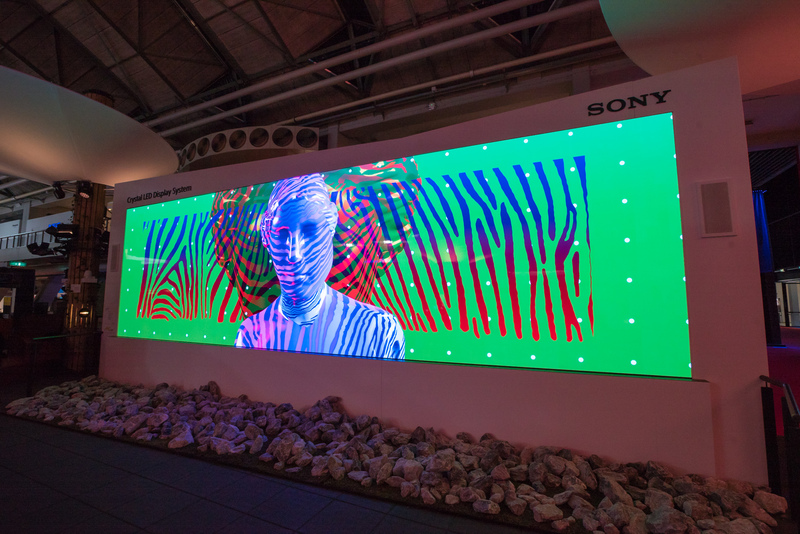 Drawing inspiration from fashion, sports and technology, the visuals featured a bright, high-contrast palette, while 3D motion graphics used the screen’s 3:55:1 ratio to enhance z-axis horizontal motion. 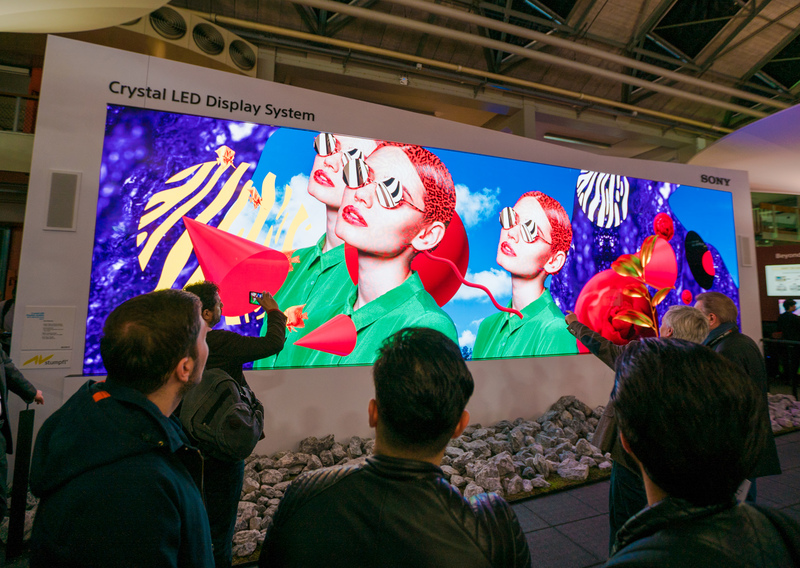 These surrealist pop art collages flaunted the Crystal LED’s unparalleled richness and depth for an unforgettable sensory experience.